By entering Tiger Con, all attendees agree to have their photos taken by Tiger Con staff for promotional purposes. Tiger Con agrees not to use the photos in any other manner besides promotion and not to sell the photos to any third party. Photography is allowed and encouraged at the convention! However, if someone does not wish their picture to be taken, refrain from photographing them. Also, if you need to take a picture, be quick about it and do not block hallways or entrances. Photographers are asked to not set up any lighting structures or backdrops that are not immediately portable. Photographers may be asked to move these structures due to traffic flow at any time. Please refrain from using photographic devices in any showing room or main movie presentation. You are welcome to take many pictures during events such as the costume contest and opening ceremonies! Tiger Con is an all-ages event, and as such prohibits extremely revealing costumes and attire. A good rule of thumb is full-coverage bikini top + shorts for women and shorts and shirt for men. Attendees must comply with all local, state and federal laws concerning weapons. Additionally, sparring, fighting, and horseplay with prop weapons is prohibited. This includes slow motion fighting, because the term “slow” is very subjective. Just don’t to it. Cosplayers with prop weapons may pose in action positions, but these should be static poses. Real swords and other weapons purchased in the dealer’s room may stay on the con grounds so long as they remain in their original packaging, but no walking around with live steel swords/daggers/etc. And no, the sheath doesn’t count as original packaging. We’re talking about a box or similar package. Tiger Con reserves the right to eject anyone from the con who does not abide by these rules. Additionally, the police may be called for infractions involving real/live steel weapons. No live weapons or weapons that can fire any type of projectile. That means no Airsoft unless it has been rendered inert (Don’t paint over the red tip, it must stay visible). Also no prop weapons which have enough mass to cause injury. i.e. if you want to cosplay as Negan from Walking Dead, leave Lucile the barb wire wrapped baseball bat at home, or at least make her out of something that couldn’t actually hurt anyone. We know that a convention is about having a good time, but for our attendees’ safety, disruptive behavior will not be tolerated, such as fighting/sparring (fake or real, including sword swinging), heckling, impeding traffic flow, offensive behavior, failure to observe basic hygiene, public inebriation (or similar intoxication), or any other failure to follow the rules. Tiger Con can and will take action against any type of disruptive behavior, even beyond the behaviors mentioned. Attendees that cause these types of problems may be warned, asked to leave, or even face inquiries from the police (depending on severity). Attendees of Tiger Con attend at their own risk. Tiger Con takes no responsibility for any damages incurred to property or person of guests, artists, dealers, or attendees. Smoking is not permitted inside any buildings. Offensive or overly revealing attire is not permitted. Tiger Con takes no responsibility for lost items. Lost items will be held at the registration booth until the end of the con, at which time they will be turned over to the conference center staff. Tiger Con prohibits signs or other materials that are not part of a specific costume. This includes (but is not limited to) “Hugs for a quarter”, “Free glomps”, and “Spank a catboy for $1”. Tiger Con reserves the right to confiscate/destroy/remove any and all signs. Due to safety issues, roller skates, bare feet and stilts are prohibited in the conference center. Blocking doorways or heavy traffic areas for any reason not limited to photography, dancing, standing with an expansive costume in a crowded area and other obstructions is strictly prohibited. Conference staff will help participants contact venue security or local law enforcement, provide escorts, or otherwise assist those experiencing harassment to feel safe for the duration of the conference. We value your attendance. We expect participants to follow these rules at all event venues and any related social events. Security volunteers and professional security/police may instruct you to discontinue activities, move to a different location, etc. Such discussions may be difficult and they always should be done professionally and respectfully. However, specific security instructions may be delivered at a loud volume to compensate for ambient convention noise. There is no reason to ever engage in unwelcome behavior that has the purpose or effect of harassing others. Report any unwelcome behavior you think might be harassment regardless of it is covered in this document. If you feel unsafe, tell someone. If someone offends you, let that person know so that it won’t happen again. If you have offended someone, understand his or her perspective, apologize and don’t let it happen again. 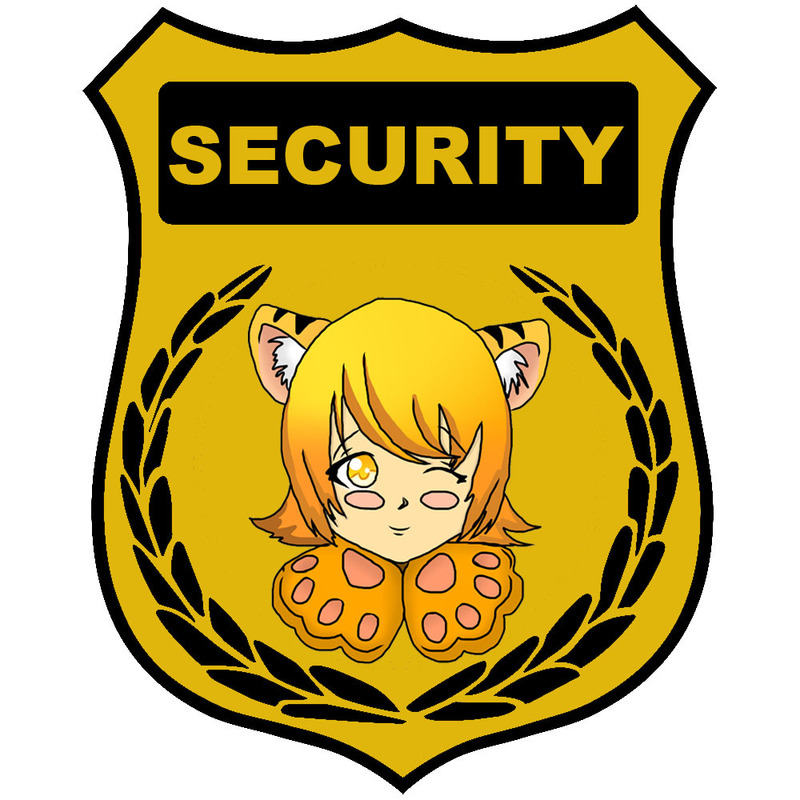 Again, if you feel the incident is severe or makes you uncomfortable, please proceed to an Information/Registration/Security desk and tell a Tiger Con staff member. If you are aware of any behavior that might violate this policy, report it to Security at an Information/Registration/Security desk. NO SALES are permitted on the premises outside of the Dealers’ Room, Artists Alley, and specified areas. Anyone found posting, pasting, taping, or pinning material on convention property that is not an artist or vendor will be immediately removed from the convention grounds. Artists and Vendors are to adhere to the policies for their respective rooms. Tiger Con reserves the right to eject anyone from convention grounds at any time.